these carpenters pencils. 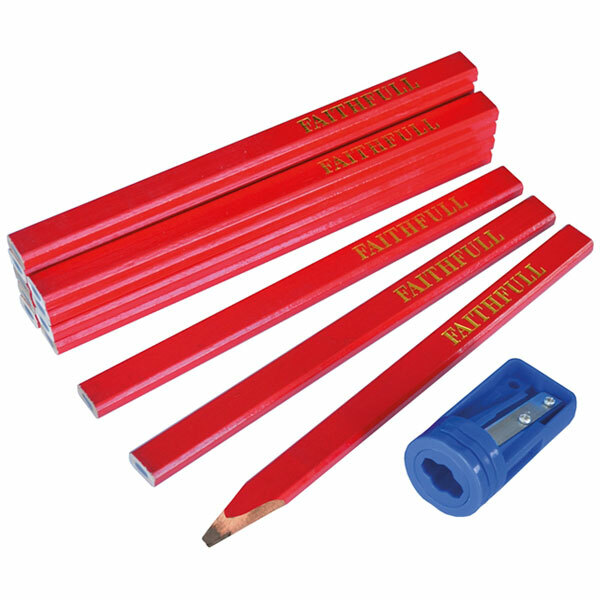 The pencil has flat sides to prevent it from rolling away. There are three colour coded grades of hardness to cater for different surfaces. Supplied in a tube of twelve pencils with a specially shaped pencil sharpener.